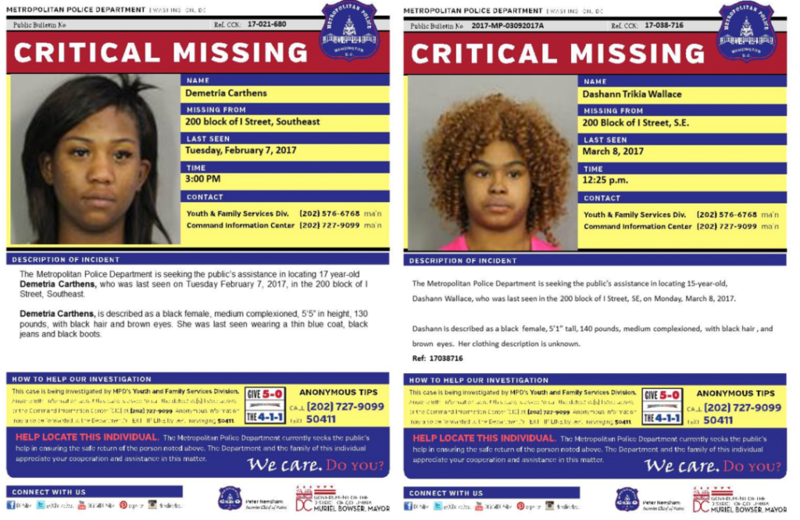 D.C. police recently began using social media to highlight teens reported missing in the District, many of whom are African-American and Latina. But the move inadvertently sparked a national outcry over the “rash” of missing girls of color, with misinformation being re-tweeted by celebrities and even a call by the Congressional Black Caucus for the FBI to investigate. Some see a silver lining, however, in the attention — and resources — now focused on the issue, including a new task force created by D.C.’s mayor.